In spite of our best efforts, accidents occasionally occur. While many seem to happen for obvious reasons, there may be things that contribute to an accident which are not always apparent. That’s why it is vital to conduct a thorough Accident Investigation. This online course was created specifically to educate employees about the dangers of working with materials that may contain asbestos. This program, Basic Electrical Safety in the Workplace, trains employees to have a basic understanding of electricity and how it works. This online course is a comprehensive defensive driving program designed to teach responsible driving practices and to help drivers of all experience levels become better drivers. Everyone who pulls a flatbed for a living knows that properly securing cargo to a trailer is key to safe and profitable operation. This online Cargo Securement Flatbeds course explains valuable ways to prevent load loss, trip delays, increased insurance rates, injury, and damage to cargo, vehicles and property. This course is designed to cover the basics of safe, effective chainsaw use including: required protective equipment for use in the forestry industry, parts of the chainsaw; saw maintenance and sharpening, tree-cutting techniques; forestry dangers zones and hazardous trees; proper stance; and operator fatigue. If you are exposed to extreme cold in your work environment, you could be at risk of what the Occupation Safety & Health Administration (OSHA) calls “cold stress” illnesses and injuries. These include dangerous conditions such as hypothermia and trench foot resulting from direct exposure. The cold is particularly dangerous because it can slow you down and cause damage before you even know it is happening. This course was designed to help satisfy the requirements of the National Safety Council publication, First Aid and CPR. In today's work environments, compressed gas is used for many things such as refrigeration, welding, and heating. Compressed gas cylinders can be dangerous, and employees who work with them need to know how to handle them properly. This course provides the information employees need to handle and transport these potentially volatile storage containers. This online awareness course provides an overview of confined spaces and explains how to safely manage confined space entries for workers who enter or manage entry. 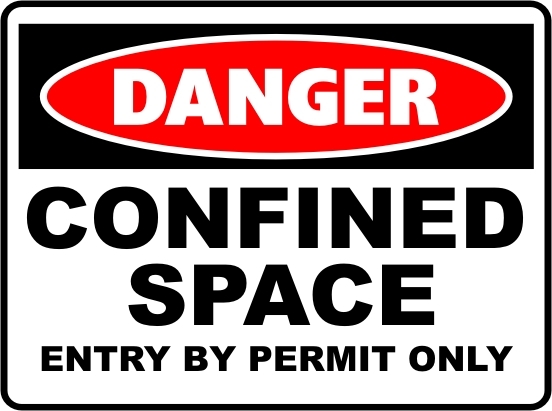 This online course will introduce you to the types of confined spaces and the associated hazards. You will learn about the activities within a confined space, and codes of practice. Different types of hazard controls are presented including: engineering, administration, and protective equipment. Worth 1 Gold Seal Credit. This course is an interactive, web-based (online) training program, focusing on hazard awareness and preventative actions delivered through 15 modules. This course can be done from any location, is self-paced and user friendly. This certificate is mandatory in Alberta and recognized right across Canada. Knowledge and awareness give your employees the power to avoid or safely handle their interaction with dogs in their daily activities. Reduce your incidences of dog bite encounters by giving your employees the tools and knowledge they need when they need it. You will never need to worry about the scheduling complications of bringing your employees to a specific location at specific times. This online course helps learners recognize hazards inherent with vehicle operation and take actions to reduce risk on and off the work site. This online course provides a well-rounded approach to the basics of electrical safety and helps increase understanding of the dangers of electricity from both a shock protection and arc flash protection point of view. Hundreds of construction workers are killed every year from electrocution. To help prevent injury to you and others, this online course is designed to give you an overview of basic electrical safety. It is specifically helpful for individuals who work in the construction industry and have limited familiarity with electrical hazards. This is an online course. This online course is a state-of-the-art online multimedia safety training system that provides affordable, high quality, impactful, and credible electrical safety qualification, refresher, and awareness training. This online course is designed specifically for non-electrical workers who typically use, apply and/or operate electrical equipment in the workplace or work in close proximity to overhead power lines. It will inform you about the associated hazards and risks and explain how to protect yourself from being potentially exposed to electrical shock and arc flash hazards. 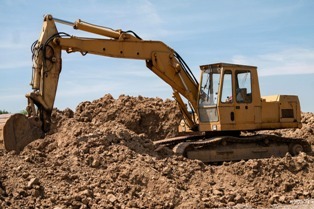 This online course explains OSHA standards related to safe excavation and trenching operations. This online awareness course provides employers and employees with a basic understanding of workplace fall hazards and the workplace safety measures that can eliminate or mitigate those hazards. It also presents an overview of applicable Alberta legislated guidelines and industry practices corresponding to those hazards and control measures. This online course will provide the knowledge necessary to identify: elements of a fire prevention plan, the requirements for emergency exits, what to do in the event of a fire, and the classes of fire. This Gas Detection equipment, toxicology & atmospheric testing training course will cover the identification of hazards, atmospheric testing, respiratory protection, classification, safe entry procedures and rescue for any worker that will be entering, working in, providing stand by for or monitoring confined spaces. This online course has been fully endorsed by the Alberta Common Ground Alliance (ABCGA) Standard 201 and is designed for planners, managers, supervisors, and employees who are or will be required to develop, plan, and implement any kind of ground disturbance.. This course was built on the success and content of the current Global Training Centre Ground Disturbance Level II® standardized program. This online course has been fully endorsed by the Alberta Common Ground Alliance (ABCGA) Standard 201 and is designed for planners, managers, supervisors, and employees who are or will be required to develop, plan, and implement any kind of ground disturbance. 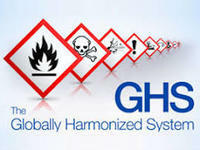 This online awareness course will provide information which is required to properly recognize, assess and control hazards that are associated with the H2S gas. The properties of H2S, the health hazards that are associated with exposure, the detection and monitory methods, and acceptable exposure limits of H2S will be discussed throughout this course. This online course explains the importance of hand and power tool safety in construction workplaces. This course is intended for all general construction workers. Created specifically to assist building and construction companies of all types in complying with federal, state, and municipal hazard communication regulations, this course also addresses the major education and training requirements in these chemical hazard laws.This is an online course. Since 2004, the Bureau of Labour Statistics has reported nearly 125,000 cases of permanent hearing loss in workers. Simply being exposed to hazardous noise levels can result in hearing loss by damaging the hair cells directly connected to nerve endings in the inner ear. However, the extent of this damage and the severity of hearing loss depend on the amount of noise to which you are exposed and the duration of exposure time. This is an online course. Each year thousands of employees suffer the adverse effects of heat stress. Whether they work outdoors under the hot summer sun or indoors with equipment and machinery that give off high levels of heat, workers need to know how to recognize and prevent heat stress and other heat-related health problems. This is an online course. Designed for individuals who work on or near hydraulic equipment, this online course provides an awareness of hydraulic hazards in the workplace. This course contains over 800 visual learning aids including numerous videos, animations, procedures, and reference documents. The goal of this course is to provide important knowledge that will assist in reducing risk and eliminating hazards for workers, equipment, companies, and the environment. This course in combination with a full hydraulic safety program will greatly reduce risk.This is an online course. This course uses a powerful combination of audio, full-motion video, text, and colorful graphics to help workers understand the potentially harmful effects of poor air quality. The course is divided into topic-based lessons to help learners understand and retain information on preventing, identifying, and correcting air quality problems. The Industrial Safety Training System (ISTS) Orientation meets BC, Alberta, and Saskatchewan legislative orientation requirements by introducing workers to the basic principles of hazard recognition, evaluation, and control. This is an online course. This online course teaches you the fundamentals of JHSCs so that your company can develop a committee that adheres to legislation and is unique to your workers, history, and environment.This course covers common ladder dangers, techniques for choosing the right ladder for a job, and how to use ladders safely to protect yourself and others from harm. This online course teaches learners about the effects of lead exposure in the workplace and how to work safety in environments containing lead. Why is knowing how to lead others through change so important? When organizations attempt to change, they need effective leaders who can guide others through the change. Otherwise, organizations often fail to live up to their potential.There are many reasons why change initiatives fail more often than they succeed. This course will show you how to avoid those mistakes and implement change positively and successfully. This online course covers the steps to correctly lock and tag out equipment, devices used for lockout tagout, and the elimination of potentially fatal hazards through implementation of proper lockout tagout procedures. This course also covers the legal requirements surrounding the lockout of equipment, potential consequences of not following the procedure, and how to create and maintain a written workplace lockout tagout program. Working on a construction site requires workers to handle, move, use, and dispose of the building materials used. Because improper, inadequate, or unsafe handling of materials causes injuries and even death in many cases, handling materials safely should be a primary goal of every worker. This online course is designed to provide you with an introduction to handling materials on the job site, including moving, storing, and disposing of materials. It covers regulations 29 CFR 1926, Subpart H.
This program emphasizes that safety does not happen by magic, but requires commitment and participation from everyone. This highly entertaining program addresses common hazards found in the office environment and motivates your employees to use best practices to ensure their safety. This online Workplace Stress course uses a powerful combination of audio, full-motion video, text, and colorful graphics to help workers identify potentially stressful situations and learn how to cope with them. The course is divided into topic-based lessons so information is easily understood and retained.